Electric vehicles are more efficient than gas-powered vehicles , They are extremely safe & compact , They are quiet to drive , They are convenient & durable , They are fueled for very cheap prices and they can be a great way to save the money in your own life . The electric car is a great way not only save the money but also help contribute towards a healthy and stable environment , The cars produce a lot of carbon emissions which are ejected into our natural atmosphere , leaving us vulnerable to the things like the pollution and greenhouse gases . Many companies are manufacturing the hybrid vehicles to avoid the emergencies due to discharging of the battery , Hybrids cars run on the electricity as well as gasoline or diesel , So , You don’t have to worry about the distance you are going to travel and the charging points . 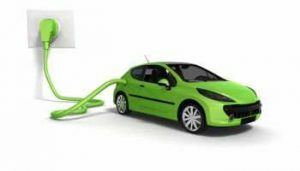 Electric vehicles get their power from rechargeable batteries installed inside the car , The batteries are not used to power the car only but they are used to operate the lights and the wipers . The electric car is a new concept in the world of the automotive industry , It is sporty and sleek , It is earth-friendly , The charging stations can be installed in your home , They will be available in parking garages and public locations . Electric motor of the electric car has the size of a five-gallon water bottle , This motor is connected to the stock transmission , There are a number of batteries , each about the same size and shape as the traditional car’s battery . The accelerator pedal is connected to a box which operates the electronic controller , When the driver presses the accelerator with ease , this action delivers the power needed , When the car runs faster , the pedal is pushed harder . The electric car will be the normal mode of transportation in the coming future , It is a great way for you to save a lot of money on gas as a consumer , It is charged by the electricity you provide , So , you don’t need to buy any gas ever again . When you drive fuel based cars ,They can burn a hole in your pocket as the prices of fuel have gone all time high , With the electric cars , this cost can be avoided , Though the electricity isn’t free , an electric car is far cheaper to run . The electric cars are 100 percent Eco-friendly as they run on the electrically powered engines , They do not emit the toxic gases or smoke in the environment as they run on clean energy source , They are better than hybrid cars as hybrids run on gas produce the emissions and you will contribute to a healthy climate . The environmental impact of the electric car is zero , So , you’re reducing your carbon footprint and positively affecting the economy , The great mass production of the batteries & available tax incentives have brought down the cost of electric cars , So , making it much more cost effective . Electric cars need low maintenance , They run on the electrically powered engines , So , there is no need to lubricate the engines , The maintenance cost of these cars has come down , You don’t need to send it to service station as you do with the normal gasoline powered car . Electric cars reduced noise pollution as they are much quieter , The electric motors can provide smooth drive with higher acceleration over longer distances , ,The electricity is readily available , the vehicle runs noiselessly , Many times you won’t know that the vehicle has just passed you . There are no emissions from EVs making them environmental friendly , The electric car runs on an electric motor , While gasoline-operated cars pollute the air each time they are driven , Driving an electric car promotes clean air , With rising gas prices at the pump , You can purchase a vehicle that costs less to fuel . Electric cars offer higher efficiency by as much as 400 to 600 percent over an internal combustion engine , There are no polluting byproducts because these cars get their power from the batteries , the wind or the sun , They offer three times as efficient as gas engines . Electric cars have their limited range , some need to re-fuel after only 100 miles , The time they take to recharge the battery or re-fuel can take over an hour , They are expensive to buy , some costing $50,000 as the manufacturer can not fully recover the cost of the discarded and new parts . If you want to convert your current vehicle to an electric one , the cost of conversion is between $5,000 and $7,500 , This is due to the cost of components and batteries , The initial payment for EVs or hybrids is much more expensive than a gas-powered car . The amount of time it takes to charge your battery depends on the charger and power available , Most EV owners charge overnight , If the EV has an on board charger , it can be charged during the day while you are at work , On board chargers weigh between ten and thirty pounds , They plug into either a 110V AC or 220V AC . Most electric cars charge at 220V AC will reach 80 percent of the charging levels between one and three hours , The battery has to be recharged regularly , It takes about 6-8 hours to recharge completely , When you are traveling a long distance , you may be at the risk of the battery running out . A lot of drivers should install a charging station at home , cutting into the cost savings from owning an EV in the first place , The electric cars are more expensive to buy than their equivalent petrol vehicle , although this amount could be saved by using an electric car in a few years or less . Electric vehicle ownership doesn’t eliminate the fuel costs entirely , As the electricity isn’t free and charging during peak hours can add to your utility bills , Still , many drivers won’t see costs increase more than $20 per month , at most . The electric cars can not cruise , accelerate or climb fast enough to compete with gasoline-powered cars and the accessories such as the air conditioning and radios drain the battery even further . Because the electric cars are created by replacing the fuel tank and gasoline engine of a conventional car with the electric motors , the batteries , the chargers and the controllers , So , The car is heavier and less efficient than the car solely running on the electricity . Tags: Automotive industryCharging stationsEco-friendlyEco-friendly industryElectric CarElectric car motorElectric car performanceElectric cars importanceElectric motorElectric vehiclesElectric vehicles advantagesElectric vehicles consElectric vehicles disadvantagesElectric vehicles drawbacksElectric vehicles featuresElectric vehicles importanceElectric vehicles prosElectric vehicles reviewElectric vehicles useselectricityEV’sEVs using electricityFuel based carsGas enginesGas-powered vehiclesHow an EV RunsHybrid carHybrid vehiclesMaintenance costThe batteriesThe carsThe gasThe pollutionWhat is an Electric Car ?